With so many options for commercial roofing, clients often ask us what type of roof we recommend for their building. 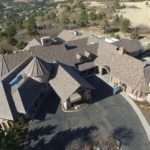 While many types of roofs are suitable, the right choice is predicated upon many different factors. These include climate, environmental impact, energy efficiency, and budget. Here, you’ll become more familiar with the various types of commercial roofing. This application is a great alternative to completely stripping your current roof. Silicone roof coatings are watertight and highly durable, which eliminates the hassle of having to reroof your building. Silicone coatings work well with existing roofs types such as modified bitumen, build up roofing, TPO, EPDM, and standing seam metal. 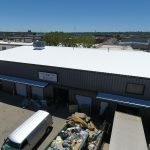 Pouring a silicone roof is ideal for businesses because it has virtually no tenant impact. When finished properly, silicone roofs have low maintenance and take half the time to install than rebuilding. Silicone roof coatings work well in cities like Dallas, where the climate is known for extremely high temperatures and harsh UV rays. When you need to stay on budget and be time conscious, silicone roof coatings are a great option. TPO roofing gives you the highest level of performance when compared to the various commercial roofing types. 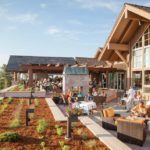 This type of commercial roofing works best in areas with high temperatures, such as Dallas that has an average temperature of 78 degrees. The membrane of a TPO roof is made from polypropylene and ethylene-propylene rubber that is adhered using a polymer. This enables the white side of the roof to be exposed, reflecting UV rays and lowering the temperature of your roof and building, which saves you money on cooling. TPO roofing is a great option for clients who want a highly sustainable and durable roof that is easy to install. EPDM is a great roofing material for flat roofs that works well in every climate. When installed correctly, this affordable roofing system can last up to 30 years. This roofing system comes in black and white options. Black blends with any color palette, while white reflects harmful UV rays. EPDM is a great roofing application because it resists hail, cold temperatures, and harsh UV rays while combating deterioration. The price per square foot is the least expensive compared to other commercial roofing applications. At ECO Roof and Solar, we are experts in single-ply commercial roofing applications. We are more than confident that we will provide your business with the best roof type for your building. To request a free quote and speak to one of our experts, contact us today!